Actor in a role. Signed (珠山 ?) plus artist’s seal. Judging from the paper used printed before WWII. 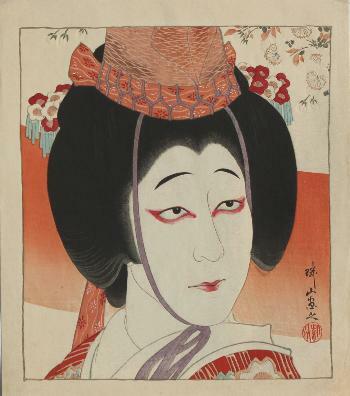 An interesting print for the Kabuki enthusiast. Fine impression and colours, very good condition.